It’s time for another movie review presented by our good friends over at FatCats Gilbert on the southwest corner of Greenfield and Baseline! FatCats Gilbert is the best place to see all of the latest box office hits like Jurassic World: Fallen Kingdom and Incredibles 2! To see all showtimes and to purchase tickets, you can click right HERE! Three years ago a spectacular movie from one of the best working directors, possibly the best working cinematographer, and one of the hottest writers who went on to be nominated for an Oscar for a film the following year hit theaters. As you can probably tell by the title of this review, the movie I’m talking about is Sicario. If you remember Sicario, and if you remember it as fondly as I do, you probably recall that it’s a self-contained story that said what it needed to say then excused itself from the table. It probably didn’t need to come back for seconds, but nevertheless, here we are in the summer of 2018, unofficially titled “The Summer of Josh Brolin,” and we’re getting a sequel to Sicario. I mostly assumed that the only reason to make a sequel would be to play off the brand recognition in the marketing plan, but I did like the trailers, and I was definitely interested to see what the characters brought to the table a second time. Sicario: Day of the Soldado is directed by Stefano Sollima and stars Josh Brolin, Benicio Del Toro, Isabela Moner, and Catherine Keener. Drugs are no longer the most valuable product moved across the US-Mexico border by cartels. The real money comes from bringing people across the border, including terrorists. To combat the entry of terrorists into the United States, Matt Graver, played by Josh Brolin, and Alejandro, played by Benicio Del Toro, join forces once again in an attempt to disrupt the cartels by starting a war between them. I adored the first Sicario film. My level of love is the reason that I was nervous about a sequel. Add in the fact that Denis Villeneuve and Roger Deakins were moving on, and I couldn’t imagine Sicario: Day of the Soldado measuring up to the first film, and for the most part my imagination was spot-on. This movie isn’t as good as the first one, but that doesn’t necessarily mean it isn’t a good movie in its own right. When it comes to movies I like, I enjoy talking about the positives. I think that looking on the bright side and finding common ground in the positive aspects of a film is great for fandom. Oddly enough, Sicario: Day of the Soldado is a movie that I like, but when I look back on it, I’m probably going to define it by the things that I didn’t particularly care for. I’m not saying that’s fair, and I’m not saying that’s right, but that’s the sandbox you play in when you make a sequel to one of the decade’s best films. That being said, I’m still going to start with the positives, most of which are the exact same positives I had with the first film. I’ll start with everyone who is returning from 2015’s Sicario. Josh Brolin and Benicio Del Toro are both excellent in this film. They were both great in the first film, but you can really tell that they’ve dug deep into these characters and have found an extremely compelling way to present their world-views. A lot of this film focuses on contrasting ideals and beliefs as well as the way stories can be twisted and turned to positively or negatively affect certain people, situations, or ideas. On top of illustrating clashing viewpoints, it also displays our characters, who we see as protagonists, as sort of puppet masters. They may not be executing their plan in the most ethical way, but they’ve found a way to achieve the results they want without acknowledging right or wrong. A lot of what is depicted in Day of the Soldado is established in Sicario, but it’s still fascinating to see these philosophies in practice in a grounded and gritty reality again. Still sticking with people who are back after the first movie, Taylor Sheridan returned to pen the screenplay. Taylor Sheridan’s movies aren’t perfect, but he has to be close to the top when it comes to writing compelling dialogue and riveting sequences. For a good chunk of this movie, I was absolutely locked in. It has the same dirty and gritty feel that the original Sicario movie has, but for some reason I couldn’t look away. Even when I knew that certain things were going to happen, I couldn’t take my eyes off the screen no matter how gross and horrific a scene was about to get. I think that Sheridan had a lot of really interesting ideas for this story, and the way the dialogue is delivered by these characters in a no-nonsense way really grabbed my focus for almost the entire movie. The tones and violent yet real-world underworld ideas are still very prevalent in this film, and that’s probably the biggest reason that I found Sicario: Day of the Soldado so watchable. It’s also trying to be a smart movie. This isn’t the kind of summer movie that automatically makes you want to flick the off switch on your brain and enjoy the action. It’s the kind of movie that makes you want to dissect it and compare it to the masterpiece that was the original Sicario from a technical, storytelling, and thematic standpoint. That’s probably a good lead into the negatives I had with the film. My biggest issue with the movie is that I don’t think it ever decides exactly what it wants to be. Does it want to fully address the themes and messages addressed by Sicario? Does it want to be a political thriller? Does it want to be an action thriller? Does it want to be a character piece about Alejandro and his past and future? I truly believe that it could have been all of these, but its distribution of all of those ideas is so bogged down in a plot that seems to be trying to surprise the audience more than lead it to conclusions. 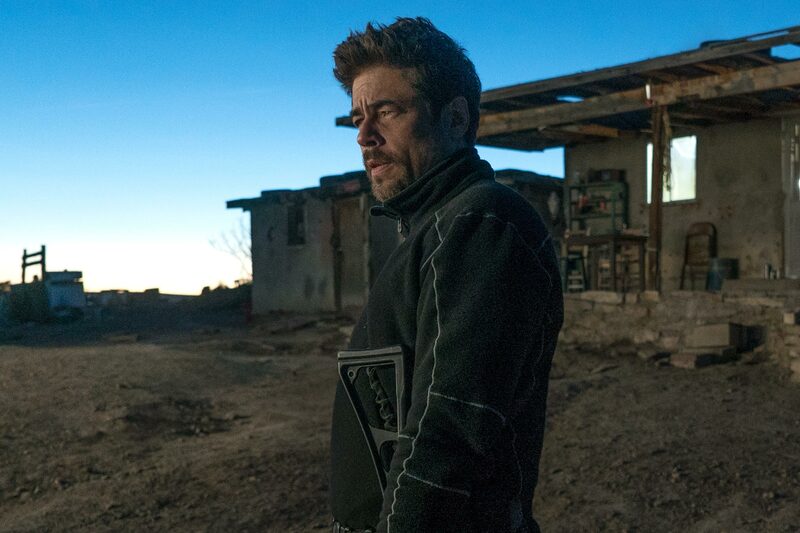 It’s never fully able to send its messages clearly the way the first Sicario is because it’s trying to take twists and turns with characters who aren’t expanded upon in the sequel. About an hour into the film, I thought we would surely get more depth from both of our main characters, but again, that character depth is sort of glossed over. Sicario: Day of the Soldado could have been everything it was trying to be if it distributed its runtime and fully fleshed out each aspect, but it doesn’t. It comes off feeling like more of a shocking film than an impactful one. Again, I liked this movie, but that’s the main reason it won’t ever be able to reach the status of its predecessor. I also probably could have told you this before I had even seen the movie, but it does take a hit in both the direction and the cinematography. I’d actually say that the film is relatively well-made, but I’ve seen what Roger Deakins can do to enhance this setting, lighting, and story, and it’s breathtakingly beautiful in its raw ugliness. Also, given that Denis Villeneuve is arguably a top ten working director, I think he would have been crucial to the story’s focus, balance, communication, and artistic vision. Overall, Sicario: Day of the Soldado is a very strange movie for me. I liked it, yet the negatives are resonating with me. I found it fascinating to revisit the world that the first Sicario established so well. You could argue that the most interesting thing about Sicario is the setting it established as well as the way it pulls the curtain back on the truth of that world, so I completely understand the desire to revisit that. 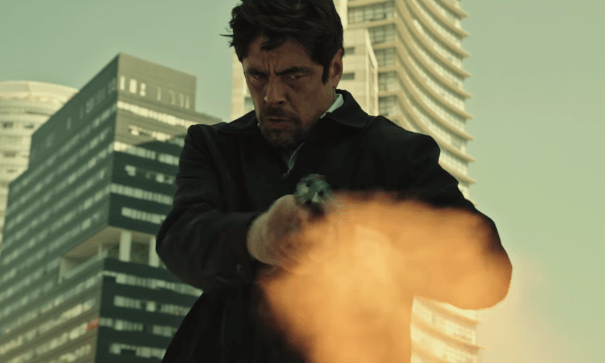 Unfortunately, it just doesn’t feel like Sicario: Day of the Soldado expands upon those ideas or the characters that were introduced back in 2015. Sheridan writes amazing dialogue, and I think that a lot of the ideas he surfaces are interesting, but that’s exactly where those ideas stay: on the surface. Whereas the first film is so completely committed to what it is, Day of the Soldado doesn’t seem to know if it wants to be a thriller or if it wants to send those messages or if it wants to solely set up an Alejandro-led third installment. Luckily for fans of Sicario, it brings the same dirty feeling and gritty, real violence to the table with enough political intrigue to keep you locked in for most of the runtime. I’m going to give Sicario: Day of the Soldado a 6.8/10. Will you be seeing Sicario: Day of the Soldado? Comment down in the comment section and let me know! As always, thank you, and keep listening to 88.7 The Pulse!